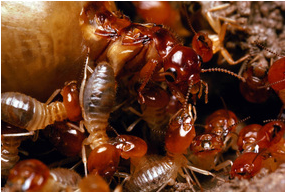 ​CHUCK's BERRY's PEST CONTROL is a First Class Pest Control Company with 25+ Years of Experience. the Health and Property of their Environment. 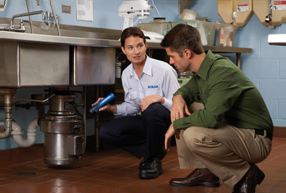 Helping our customer find COST EFFECTIVE SOLUTIONS. 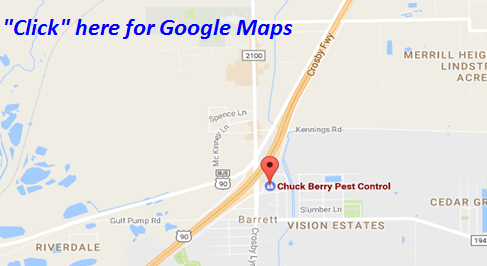 Regardless of the where the Pest concerns are contact Chuck's Berry's Pest Control when you want first class to get first rate service the first time - every time. We will tailor a specific service plan for your company or personal needs, there is no job too large or small. 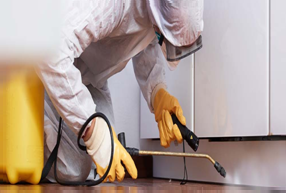 We utilize the latest and most effective eradication methods for pest control, while also providing cost effective plan to our customers. We’re a family own and operated company providing first rate customer service with thorough experience in all types of Pest Eradication; Customizing Eradication Management Plans for but not limited to New Constructions of homes and building, yard / landscapes, stores of various venues, etc.